Around the same time the Lakewood Ranch master-planned community was undergoing construction, another major residential project was being developed a few miles to the northwest, closer to Downtown Bradenton. 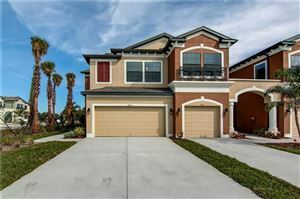 Creekwood in Bradenton is a collection of neighborhoods that have been designed to attract homeowners from all walks of life, and it strategically located in a very attractive suburban area. Various home builders such as Medallion and La Maison Homes have played a significant part in the development of Creekwood. The latest home builder to contribute floor plans to Creekwood, is M/I Homes, which in 2014 earned the honor of being designated America’s Best Home Builder by JD Power & Associates. More spacious listings can be found in other sections of Creekwood, where single-family residences are currently priced between $225K to $299K. These homes, which were developed in the mid-to-late 1990s, feature three bedrooms and two full bathrooms built on interiors as large as 2,736 square feet. The neighborhood amenities available to Creekwood residents include tennis and basketball courts and a heated swimming pool. For even greater convenience, the Creekwood Crossing Shopping Center is within walking distance of most homes, which means that driving is optional when it comes to getting groceries, going out for coffee or picking up dinner. Other nearby attractions include the Rosedale Country Club and Main Street at Lakewood Ranch. Bradenton Beach is just a 30-minute drive away. See all Creekwood Bradenton Homes for Sale.